Are you travel and tour company operator or and individual travel, trekking and expedition leader who wishes to promote travel for your clients in Peru and South America? Are you looking for Tour Operator and Local Agency from Peru? 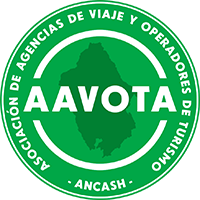 This page is all about travel business partnership opportunities and important and useful for Trekking Expeditions leaders, Travel Agencies, Trekking Expeditions Agencies, Tour Operators or any adventures & Expeditions operators who operates any holiday or adventures trips in Peru from outside of Peru. We are also looking forward to work very closely as Business partnership for professional and best Peruvian Travel. Anyone who would like to work as our foreign Representative or would like to give us opportunity to handle your clients (if you are Agent for Peru trips from your country). Also if you already have good contact or dealing with other Local operators in Peru, still you may check our services and prices by giving a opportunity to Handle one of your Tour, trek or expedition, So that you will know very well about us and our company. If you are international leaders or Peruvian trips Operators, please contact us, It would be our pleasure to work very close relationship with your prestigious travel company or your travel groups. We take guarantee of our personal care with a best holiday services to your clients, they are our valuable guests and their satisfaction is our main concerns. We know what are their needs and expectations and we are ready to fulfill. We look forward to hearing from you for fruitful business relationship and a great trips for your valuable clients and esteem Travel Company. Let's join hand together for business and better tourism industry of Peru.